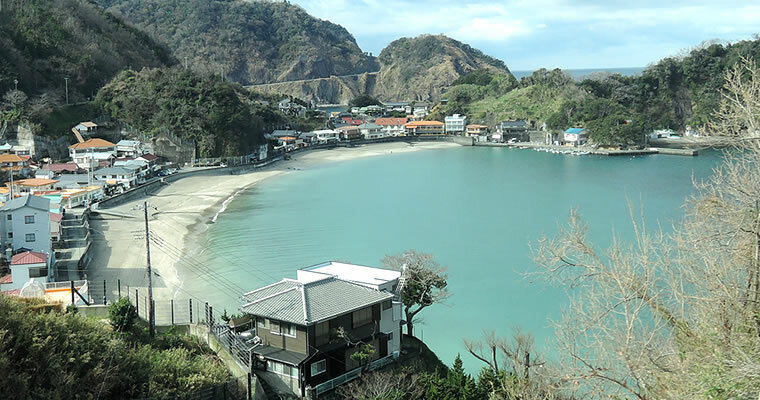 Easily accessible from Tokyo, abounding with hot spring springs, beaches, and fresh seafood, Izu 伊豆 is widely known as one of the most popular resorts among people in Tokyo. 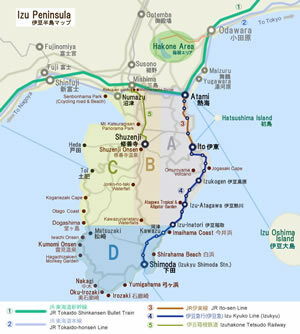 Izu often appears in travel guidebooks as a hot spring resort for weekend breaks, but it is only one side of Izu, characterized by featuring a few towns there, Atami, Ito or Shuzenji. 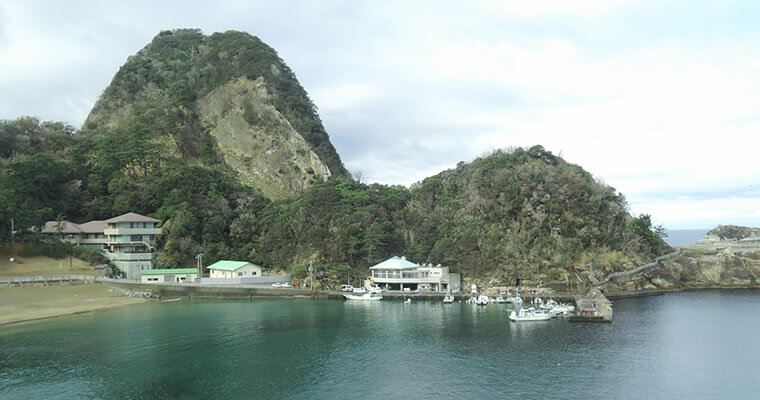 Izu is a peninsula about 220km around, where people can explore hidden places in unspoilt natural settings, as well as enjoying various outdoor activities that include rias-coast walking, sea kayaking, cruising and more. 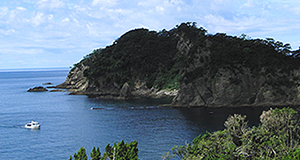 More than ten million years ago, Izu peninsula 伊豆半島 was a group of volcanic islands, gradually moved toward north and became a part of the main Japan Island. 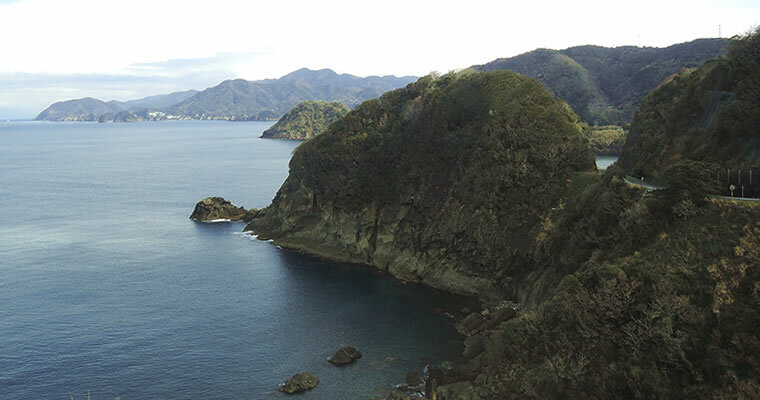 This formation process brought in the unique landscapes and the features of Izu peninsula.With the small-but-steep mountains and the surrounding rocky shores, unspoilt areas are being a GeoPark, allow you to discover the real charm of Izu. 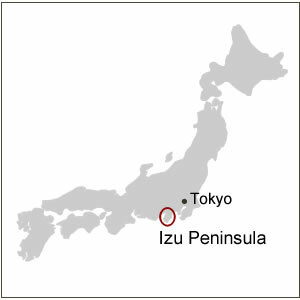 The north-central area and the coasts on Izu peninsula are designated as the Fuji-Hakone-Izu National Park. 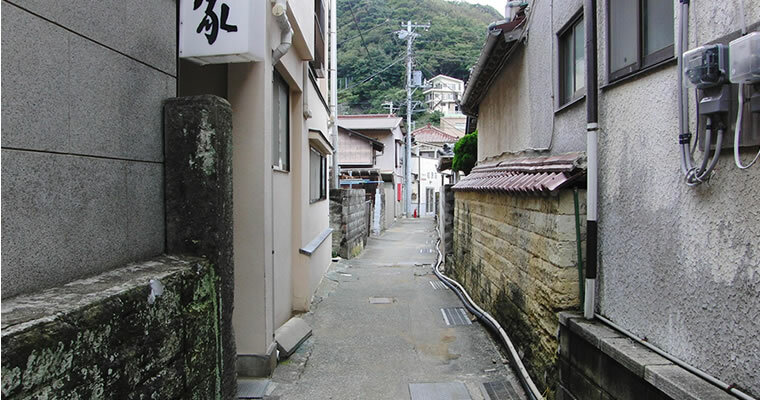 In Izu peninsula, there are old towns with a long history, have developed as a hot spring resort in traditional Japanese style, where historical buildings remain to this day. 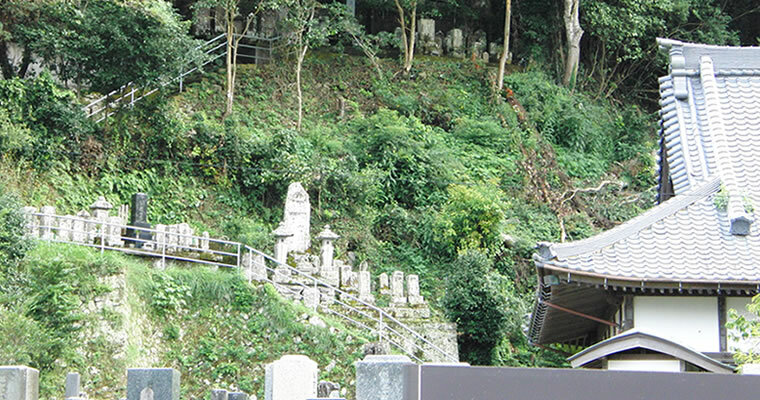 Izu also has pilgrimage sites with a history over 800 years, and traveling around to different temples; some are nestled along the shoreline, some others are in the tranquil forest, is another tourist attraction in Izu. 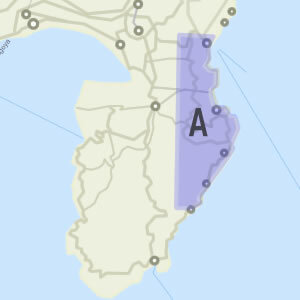 To find out attractions in Izu, here presented is the information on Izu peninsula could be divided into 4 areas, A,B,C, and D.
Area A has popular Onsen resort towns along the coast, such as Atami and Ito. 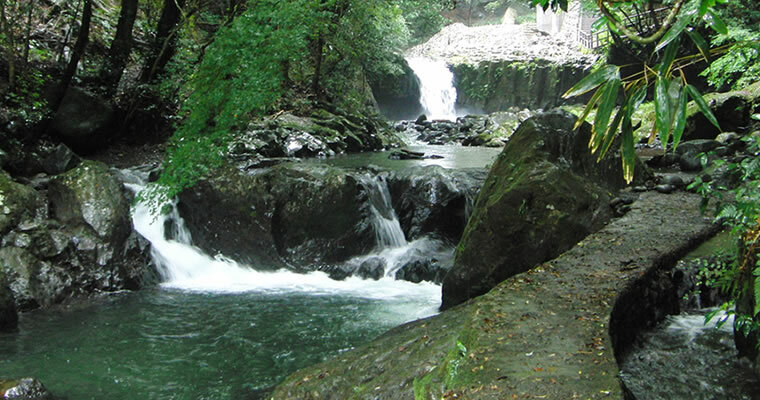 Within easy access from Tokyo, people often come to this area for weekend breaks. 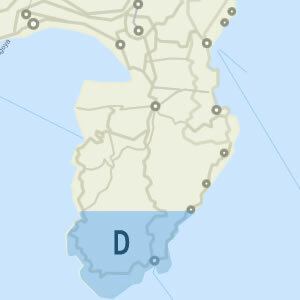 There are many resort hotels on the seaside, good for families. 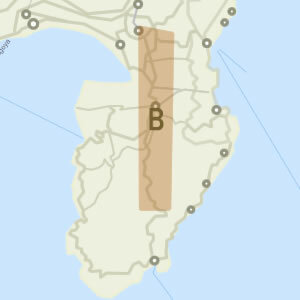 Area B is a region having luxury resorts. 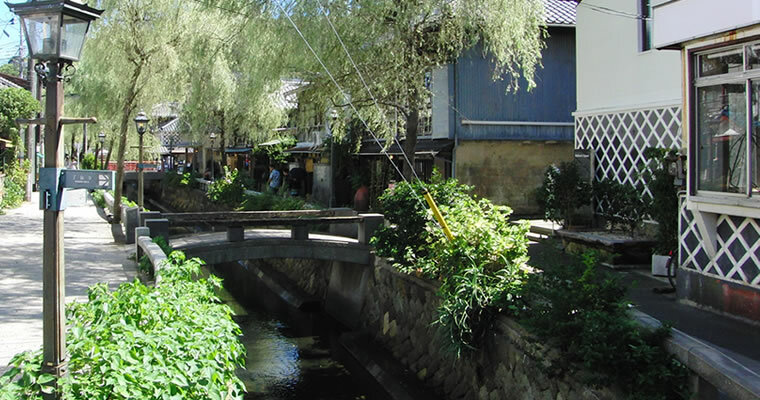 The most popular hot-spring resort in Area B is Shuzenji 修善寺, an old town grew up around a historical temple Shuzenji Temple 修禅寺, reachable by local train and bus from Mishima City. 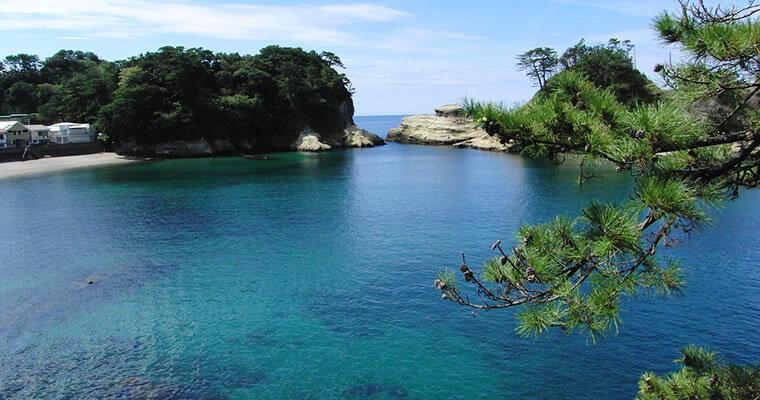 The area C has lovely little beaches along the rias coastline, having Bonsai-like tiny islands covered with pine trees. 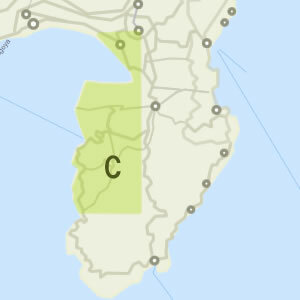 Since the public transport available in this area is only buses, much fewer people visit this area compared to the area A. 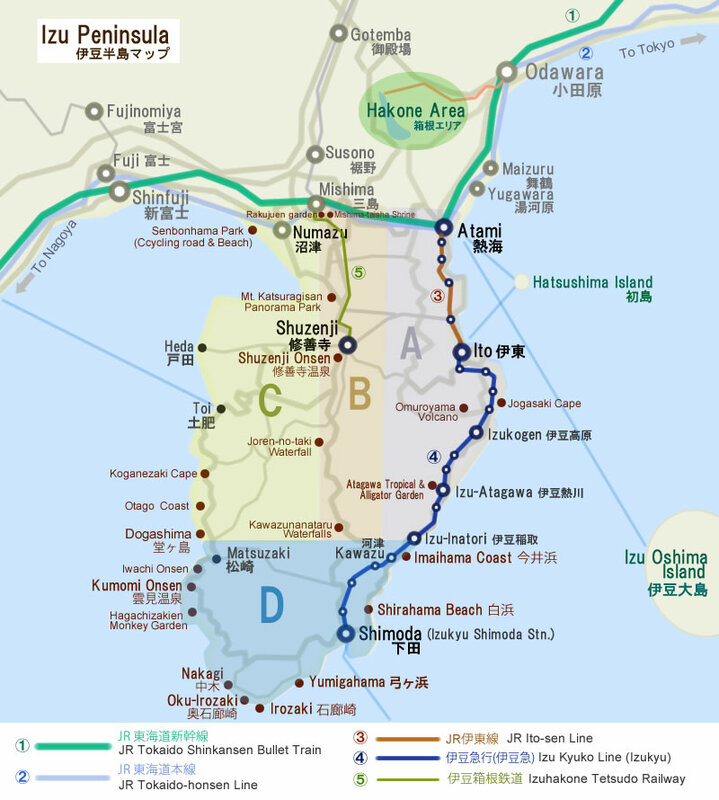 The travel destinations in Izu often featured on magazines are the area A or B, sometimes C, however, don’t miss the area D. Area D has many places where you can discover the real charm of Izu; white sandy beaches, rias coastline, and family-operated inn with a warm atmosphere. 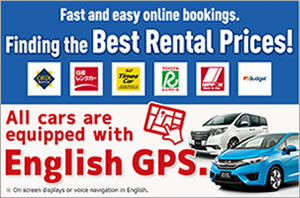 Compare and get the best offers from the leading car rental companies in Japan. Booking with Tabirai will allow you to save money for your budget.